Amy Kerr lives in Steiner Ranch and said she is surprised by the sign restrictions. She has lived at Steiner Ranch for two years and has never been bothered by the signs. “I would think it [getting homes sold in our neighborhood] would be something that the HOA would be for,” she said. This is a quote from an article about sign restrictions for Realtors in Steiner Ranch. Realtors use these signs to help advertise a house for sale. The HOA has made it so Realtors all need to use one small, brown, Steiner Ranch sign for directional purposes. With small signs that all look the same it is hard to differentiate between houses that are for sale and in areas that are further off main roads it would be difficult to lead prospective buyers to the house that the sign is intended for. Steiner has been an increasingly popular place to live but the truth is will prove to take longer to sell homes with the new sign restrictions in place. If homes take longer to sell, it will eventually mean a decline in potential value. 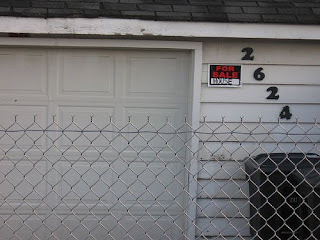 If the HOA does want a restriction, it should be more in the form of a sticker permit that is placed on the sign with a limit as to how many directional signs are allowed. This would cut down on the volume of signs and violaters of the program could be easily identified. This has happened in other areas of Austin and its surrounding cities and although it is less convenient than no restriction at all, it could be a healthy compromise. I agree that this could impact the time on market and sales price. It's the same when condo associations outlaw signs. I like the sticker idea - it's a compromise to control the display of outlandish signs.